The host of new offers include discounts on popular attractions, outdoor gear, practical automotive appliances and even new cars. As part of The Caravan Club’s Car Select programme, members who are considering changing vehicles for 2017 can benefit from savings of up to 25 per cent on over 7,000 new car models from over 29 manufacturers with Lex Autolease, the UK’s leading fleet management and leasing specialist. In addition, tow bar specialist Brink Towing Systems is offering £83 off fixed price tow bars and electrics. This means the highest quality tow bar solution for all members, regardless of the vehicle. Caravan Club members can benefit from discounted travel on the M6 toll when driving a vehicle towing a caravan or caravan trailer and when driving a motorhome. By showing a valid membership card at the time of travel, members receive the discounted toll of a Class 2 (single car) rate, saving up to £9 per journey. Plus, to make journeys even more stress free members can enjoy 20 per cent discount at Roadchef Motorway Service Areas across Britain. To find out more about The Caravan Club’s member offers and benefits, visit stands 3-15 and 3-17 at The Caravan & Motorhome Show at EventCity, Manchester from 19 to 22 January 2017. For more information please contact The Caravan Club on 01342 326 944 or visit www.caravanclub.co.uk. Caravan Club membership is just £49 per year and provides members with access to over 200 Club sites and 2,500 privately owned places to stay in the UK. It also offers a choice of over 250 sites across Europe including France, Spain and Germany amongst other destinations. All members can take advantage of expert advice, overseas travel services, financial services and exclusive member offers and discounts. 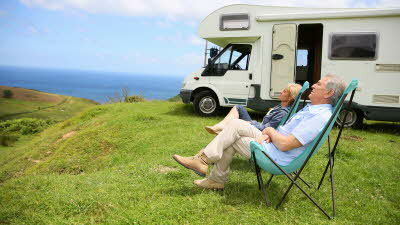 There is no membership requirement for campers who want to pitch up at over 40 Caravan Club sites. Nikki Nichol, external communications and sponsorship manager at The Caravan Club on 01342 336 797 / 07771 834 443 or email nikki.nichol@caravanclub.co.uk. Champions of the great outdoors, The Caravan Club represents the interests of over one million caravanners, motorhomers and trailer tent owners across the UK. For further information about becoming a member of The Caravan Club please visit www.caravanclub.co.uk or call 01342 318 813.